Safco Reve 4039 student desk chair offers a durable plastic seat and backrest. The left-hand tablet arm provides a writing surface. Available in multiple colors. 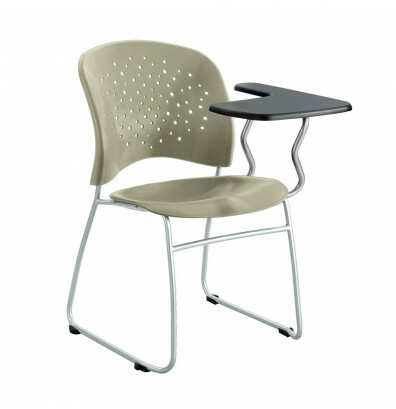 Safco Reve 4039 tablet arm student desk chair offers a durable contoured plastic seat and ventilated backrest for added comfort. 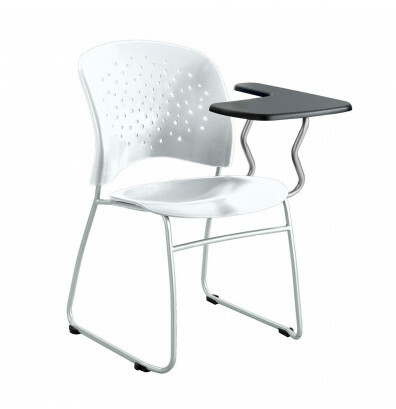 The left-hand tablet arm provides a writing surface and flips up for easy entering and exiting of the seat. Sturdy steel sled base with ganging connector glides. 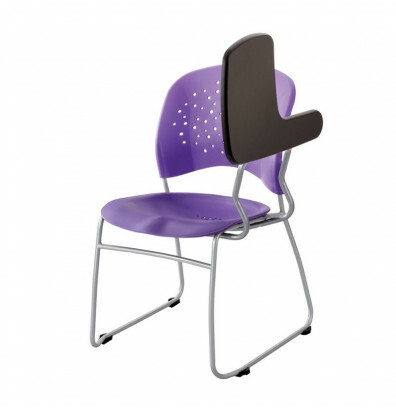 Able to stack up to 12 high for convenient storage. Tablet arm capacity of 25 lbs. Overall weight capacity up to 250 lbs. 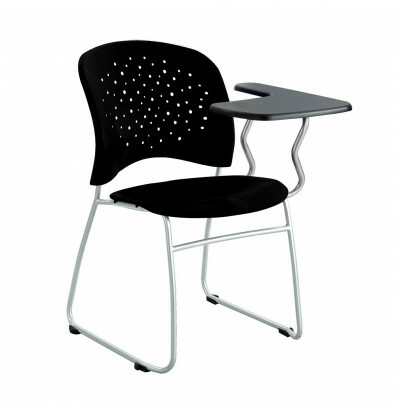 This Safco tablet arm student desk chair is available in Black, Blue, Green, Grey, Purple, Red, and White. 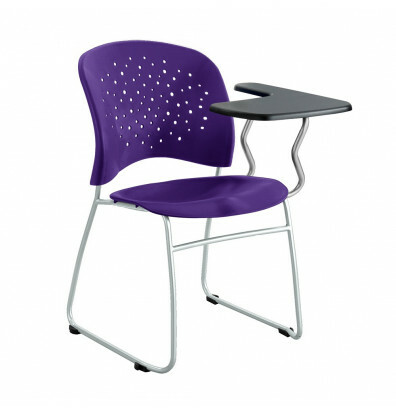 Available with the tablet arm on the right side, see the Safco 4039-RH.